British billionaire Richard Branson, best-selling New Age author Deepak Chopra, film director Shekhar Kapur… and India’s leading licenser of comic books, Gotham Entertainment Group (LA Times, 1/11/06, E3). If you have ever watched a Bollywood film, you know that the mores and traditions that govern what is appropriate in entertainment differs in that genre from what even conservative middle America may be used to. We can only hope that the productions of Virgin Comics will be exciting, innovative, and artistically complex while remaining appropriate for young readers, allowing the development of a reading audience that American producers of comic entertainment have allowed to remain fallow. [Editor's Note: Virgin Comics is not the first foray of the medium into the exciting new marketplace. 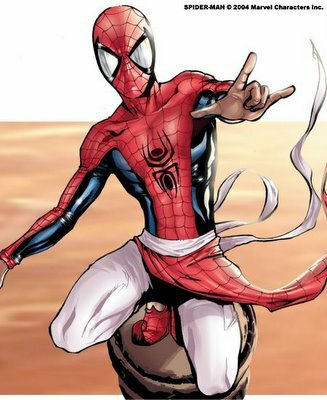 In 2004, Marvel Comics partnered with Gotham Comics (one of the Virgin Comics partners) to bring audiences Spider-Man: India. 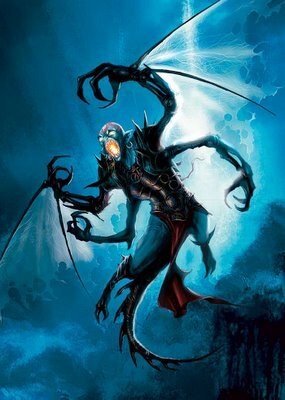 The Spider-Man: India comic was an attempt to take advantage of the huge success of Marvel's Spider-Man film. The first Spider-Man film had the most successful opening weekend of any Hollywood film in India. The first weekend take was, according to the BBC, £ 940,000 (or approximately $1.7 million). It appears that the Spider-Man: India title is no longer for sale by Gotham, but you can still purchase the adventures of Peter Parker. It could be argued that Branson's attempts to reach into the Indian market are more sophisticated than Marvel's. Marvel, as can be seen by the above Gotham link, is already selling the American versions of its characters and "converting" an existing property may not have been well received. But Branson's tactic is to use the readily available, and rich, mythic traditions already extant in India as the basis for his enterprise. This seems an easier transition than trying to force the "square peg" of Spider-Man into the "round hole" of India's mythic narratives. Besides...the cartoons look cool. So I think we may be looking, in the future, at an influx of Indian animation into the American marketplace. 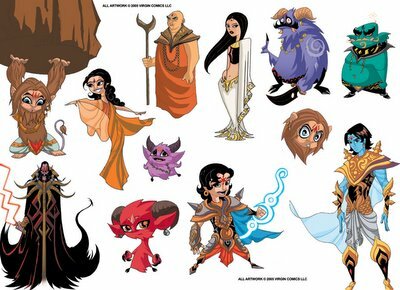 If I can become a Samurai Champloo addict, why not a Vishnu cartoon?